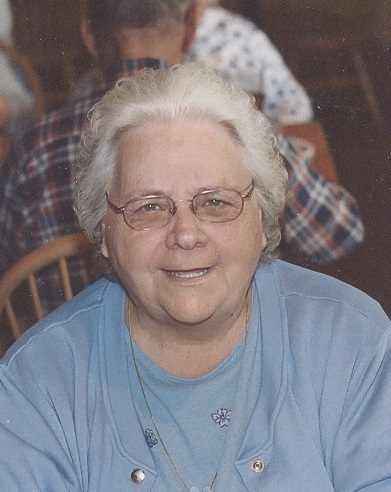 Roberta (Bobbie) Scott passed away November 13th, 2018 at the age of 82. She is survived by her three children, Michael Gambrill, Eva (Mike) Parham, and Steven Scott. Seven grandkids Brad Scott, Stephanie Scott, Christina Scott, Amber Dotson, Staci Haynes, Abby Morrell, Jason Burton and great grandchildren. Proceeded in death by her husband Harold Scott, son Mark Gambrill, daughter Kathleen Burton and brother Larry Ruby. Bobbie had three brothers surviving: Harold Ray Barnett, William Allen Barnett and David Barnett. She lived a long life and will be deeply missed by her family and friends. She loved spending time at her lakehouse with her family. Sitting on the deck watching the kids ski across the lake. Reading books and going on travels with everyone. Especially seeing the seagulls on the beach. Bobbie will be deeply missed by her entire family and friends. Visitation 9AM, service 10AM, Saturday, November 17, 2018 at Park Lawn, 8251 Hillcrest Rd. ; 2PM burial in West Liberty Cemetery, Fulton, KS. May God comfort your hearts and ease the ache. It is so precious to have the hope of Heaven where everything is beautiful and wonderful in the presence of God, the holy angels and His son Jesus who loves us so much! I am thinking about you all. You all are in my prayers. Bobbie was a awesome lady. I will never forget everything she did for me and my family . I send you all my condolences. May God Bless and keep u all . While u deal with ur loss. I'm here for u all if u ever need to talk. Love Cindy Lou Elliott.